During Mom and Dad’s weekends what do other people do to fundraise? For example, we accept donations and do a silent auction where the proceeds go to improving the house. However, this is not a very involved process and I feel like we are simply mooching off parents to get their money. Considering it’s only a weekend event and time is not something we have a lot of, I am just wondering what other houses do in order to get parents involved besides planning events to entertain them, and then asking for their money. It is really poor form to try to turn parent’s weekend into a fundraiser. For most students, their parents are already paying for school, room and board and fraternity dues. It is a little excessive don’t you think to try to squeeze them out of another few bucks? The focus of parent’s weekend needs to be introducing your folks to the fraternity and your brothers. They need to hear about all the great things your fraternity is doing. They need to meet your closest friends. It is always important to get your parents to support the things you do. They will be more likely to support you if they get a good feeling of the chapter from parent’s weekend. While I think your judgment is poor, I do applaud your initiative to fundraise. Fraternity fundraising is one of the easiest things to do with a handful of dedicated brothers. Fortunately, my site has a ton of great fundraising ideas that can help you. I suggest you check out the Fraternity Fundraising Category. This is where all my past fundraising articles are. Also, be sure to check out my favorite fraternity fundraising article. Finally, if you are really looking to raise money fast for your chapter, check out the chapter in my book titled “How to Fundraise $40,000 for Your Chapter”. 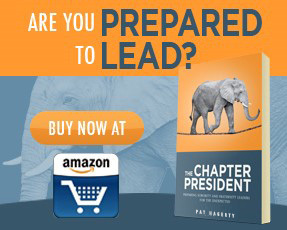 You can learn more about my book here: The Fraternity Leader.